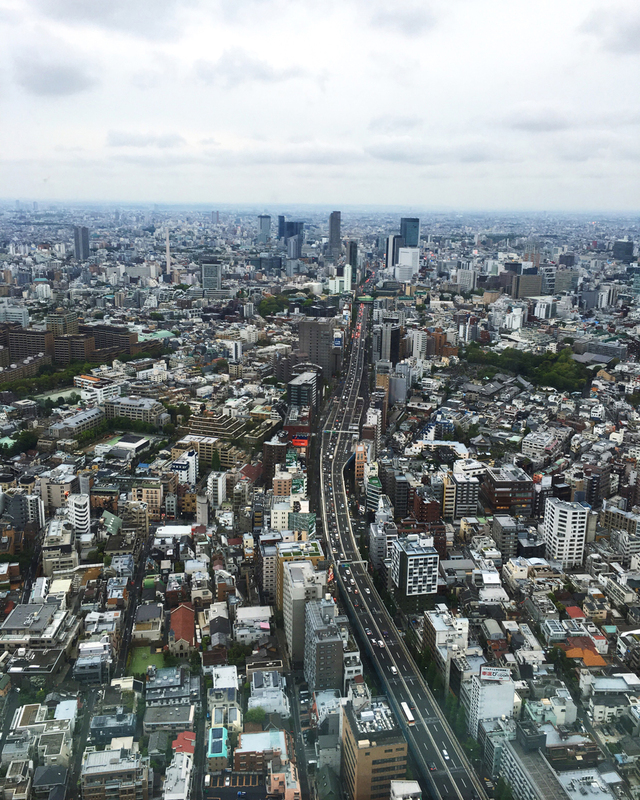 After spending one month in laid-back Byron Bay, we gave ourselves a bit of culture shock by flying straight into the mega city of Tokyo! After a bit of a rough travel day (bumpy flight, sick children, long queues in airports and a taxi too small to fit all of our luggage! 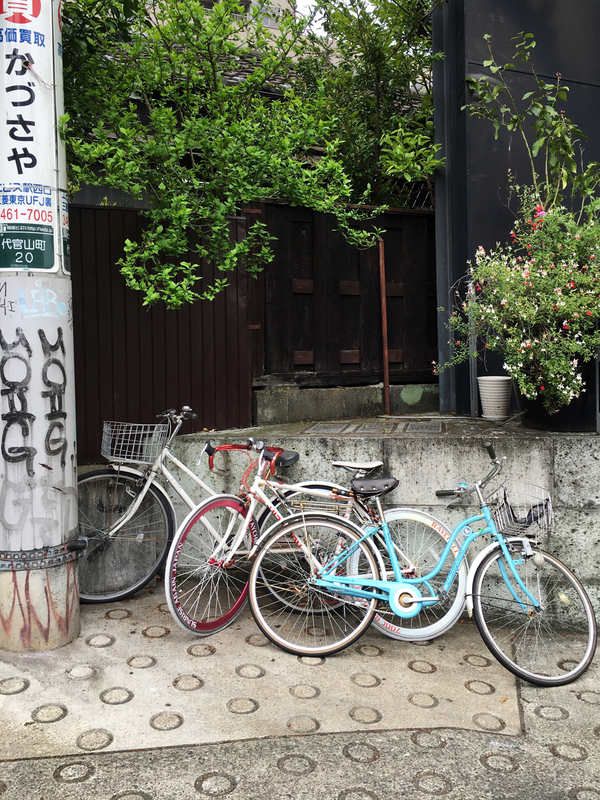 ), we arrived to a little apartment in the bustling Shibuya neighbourhood and quickly became reacquainted with our city legs. Mamma Luisa’s Table: Abigail Terrien brought us to her family’s favourite Italian and it was one of our most memorable dinners in Tokyo. We’re still drooling over the delicious Tuscan fare served up by the friendly owner Pietro! Tenoha in Daikanyama: Another Italian with tasty pastas and wood fired pizzas. Ivy Place in Daikanyama: Set in the wonderful T-site complex, this is one everyone recommended we try for breakfast or lunch… but we never managed to make it (other than to snap photos of Ivy next to the sign!). Next time! Motoya Espresso coffee van outside of Daikanyama train station: This friendly chap serves up delicious coffee straight out of his miniature van. If you normally go for a flat white, a ‘double latte’ is what you’ll request here. Paletas in Daikanyama: Tasty ice lollies with a selection of intriguing Japanese (and western) flavours. The Roastery by Nozy Coffee in Shibuya: A friendly café along a hip shopping street. They also serve beer and ice cream. What else do you need? Bill’s: not very Japanese, but we were happy to eat healthy salads and seafood from this famous Australian chef. Savoy: an intimate 13-seater pizzeria around the corner from Roppongi Hills serving the best wood-fired pizzas we’ve ever eaten!! We’re told these guys studied the craft in Italy and perfected it in Tokyo. Maisen in Omotesando (Japanese Tonkatsu): We enjoyed lunch in this classic Japanse restaurant known to have the best Tonkatsu in town. Il Boschetto in Meguro: good, simple wood-fired pizzas. Meiji Shrine: An oasis in the middle of bustling Tokyo. Here you’ll find a gorgeous shrine and peaceful gardens to stroll around. A must-do on the tourist trail. Tokyo City View from the top of the Roppongi Hills tower: take the lift up to the 52nd floor for 360-degree views of this enormous city. Ueno Zoo: A decent city zoo with some Asian animals like Pandas. 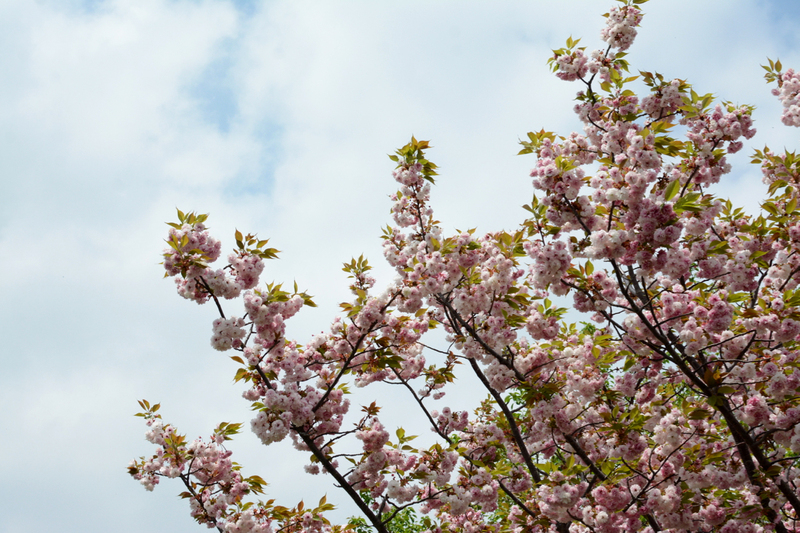 It’s set in Ueno Park, which is a vibrant area with other activities and museums on offer. 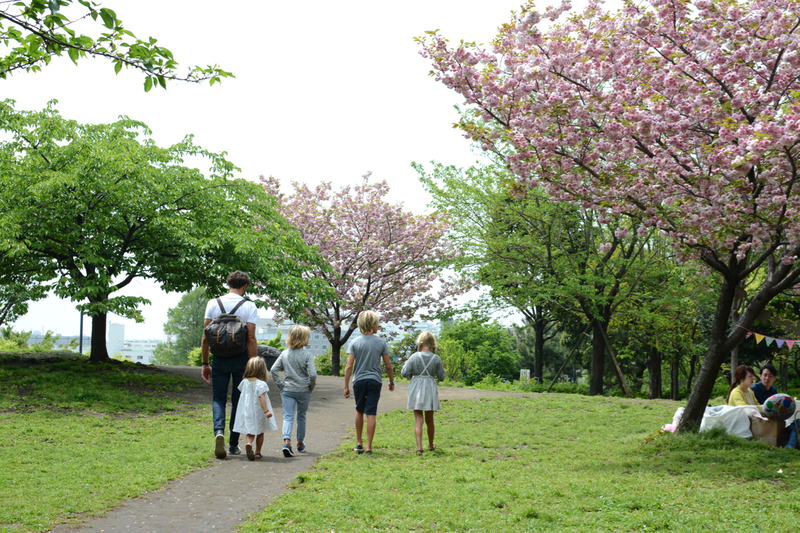 Shinjuku Gyoen National Park: We hoped to catch the tail-end of the cherry blossoms here but arrived five minutes too late on the day we tried to visit. It seems these and other gardens close at 4pm. Looked beautiful from outside the gates. Next time. 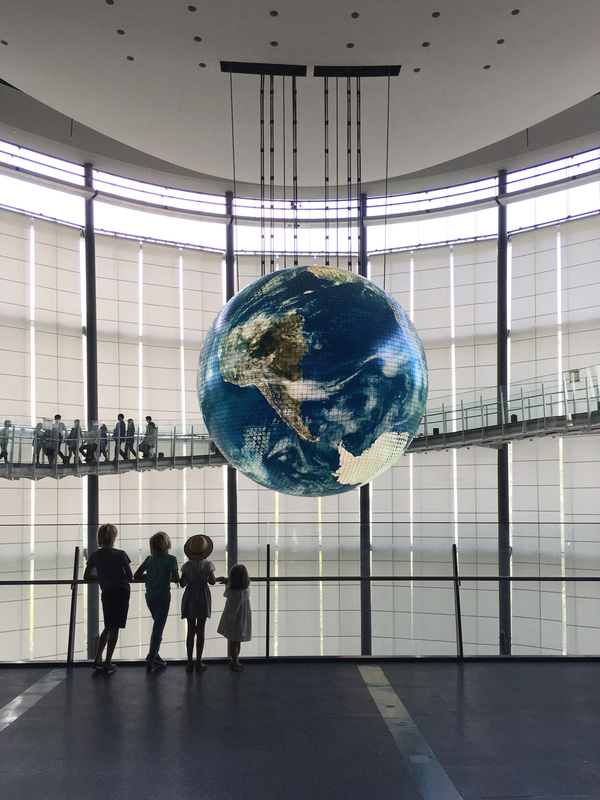 Miraikan Museum /Science Center in Daiba: A fascinating museum of science and technology. We especially enjoyed the giant globe installation and a live demonstration of Honda’s famous robot, Asimo. Tokyu Hands: a one-stop, Japanese DIY shop with literally one of everything you can imagine – from cool stationery to travel gear to kitchen gadgets to home wares (this probably wasn’t the best place to bring four restless children, but we wanted to see it as so many people suggested we check it out). 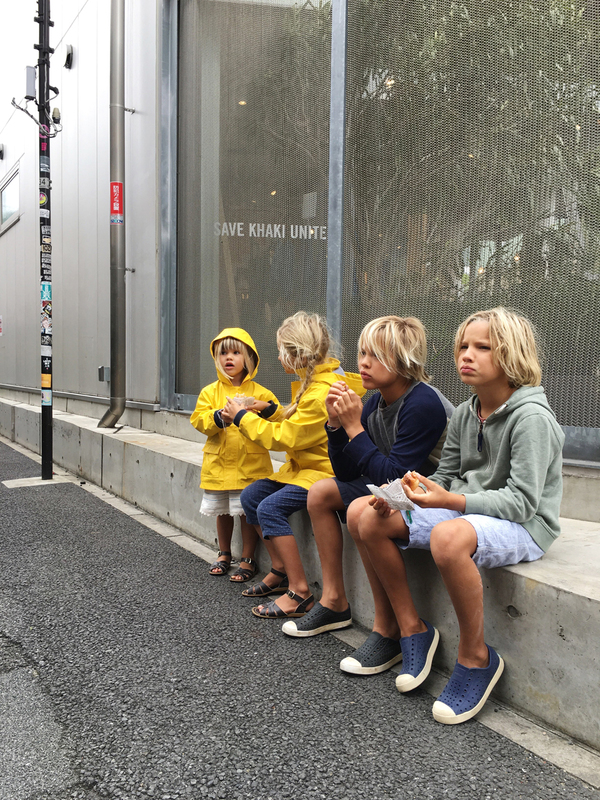 Saturdays Surf Shop in Daikanyama: this beautiful shop offers a curated selection of surf boards, wet suits, accessories and stylish men’s clothing, but it was their café serving good coffee and delicious donuts that won us over. 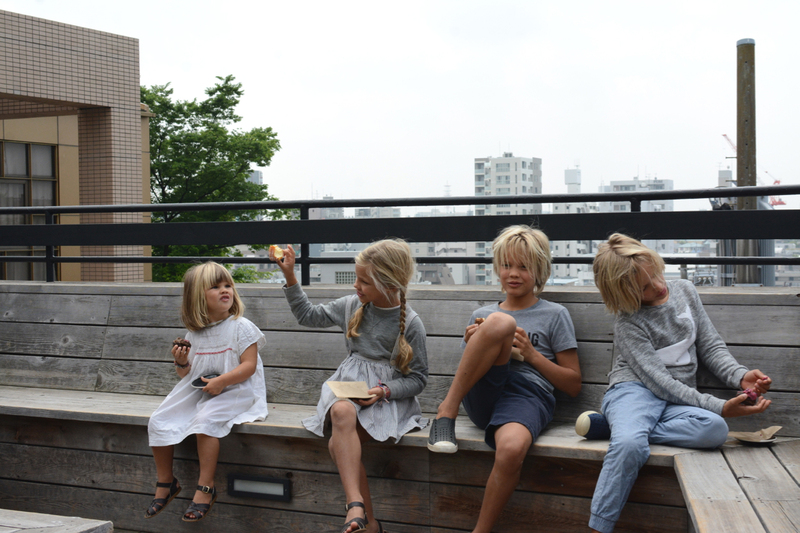 Enjoy them outside on their decked roof terrace – a little oasis in the middle of a bustling city. 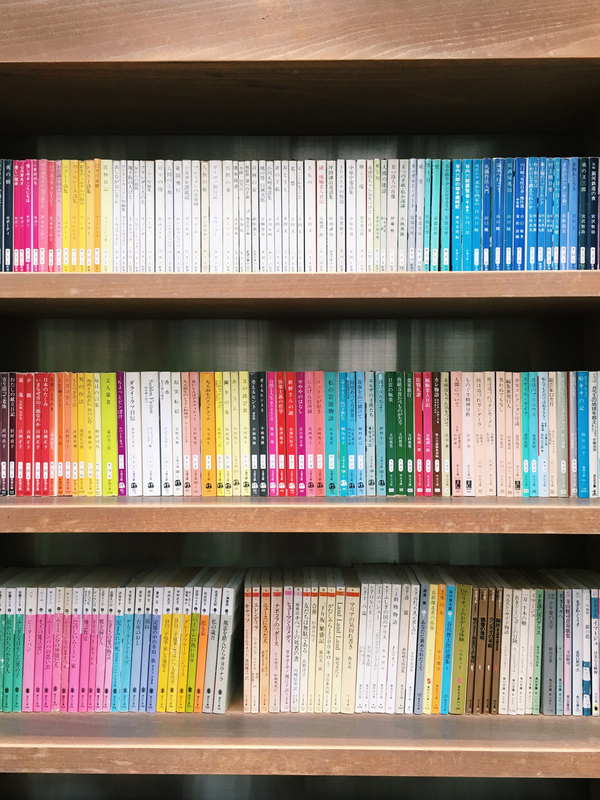 Tsutaya Bookstore: This is one of the most beautiful bookstores I’ve ever been in – with three different buildings and a beautiful café inside. If I could read Japanese I might have never left! 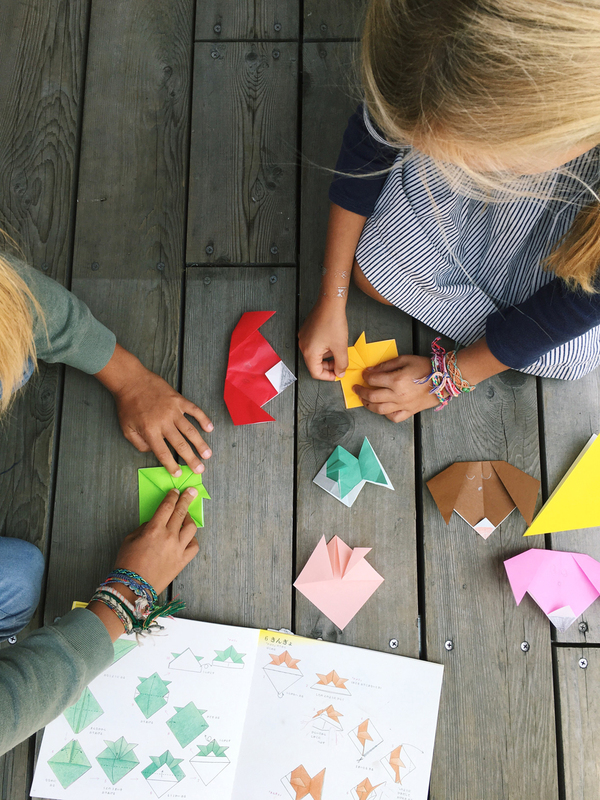 Kodomo Beams children’s shop: A wonderfully curated selection of children’s brands from all over the world, including their own branded products. I successfully managed to sneak in and have a little browse – without buying anything. A feat considering how gorgeous everything was! Tokyo Midtown Shopping Centre: A shopping centre with a good grocery store in the basement and lots of other specialty shops. There’s also an art gallery called 21_21, a pretty park and a cute playground behind the building. 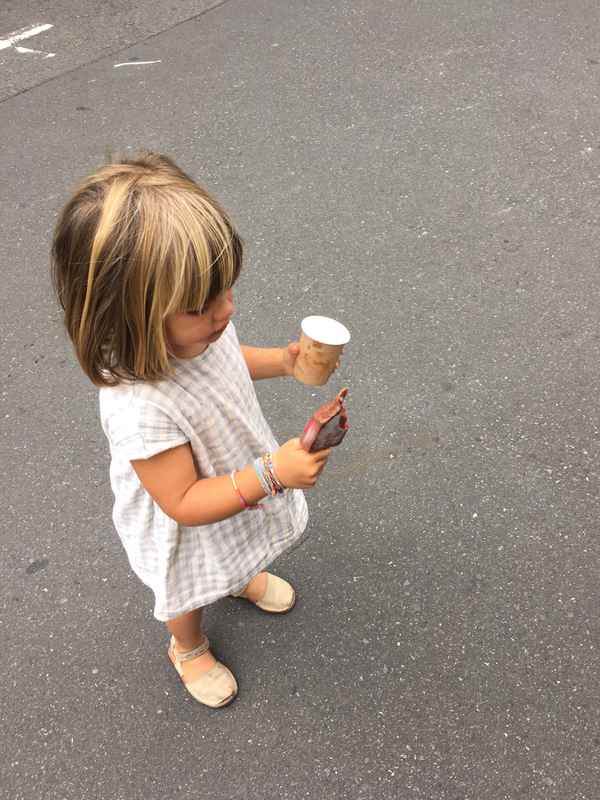 Caramel, Bonton, Bonpoint,– these well-known (and gorgeous!) children’s shops from London and Paris have shops here too. As with all Japanese outlets of foreign brands, the selections are perfectly curated. BorneLund toyshop in Daikanyama: a great little toy store with a selection of beautiful toys, many on display to test out and play, plus a super friendly staff. They also have a play area and bookstore for restless little ones. 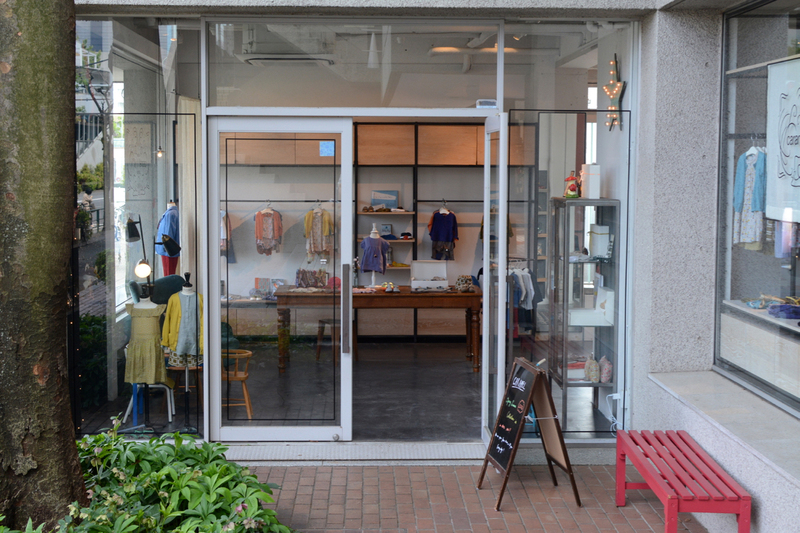 Kiddyland: If you like kooky, cutesy or classic Japanese characters, it’s worth a stroll through this multistory shop – it’s an experience all on its own. Airbnb: We rented a tiny apartment in Shibuya (near to Daikanyama) with just enough space for four double mattresses on the floor! It was perfectly comfortable though, and we were really hardly there except to sleep and shower. Japan Experience: Another Japan travel specialist, these guys offer houses to rent in Tokyo and other cities. A Japanese reader (and regular Tokyo visitor) recently wrote to let us know that these serviced apartments are another great option for where to stay. 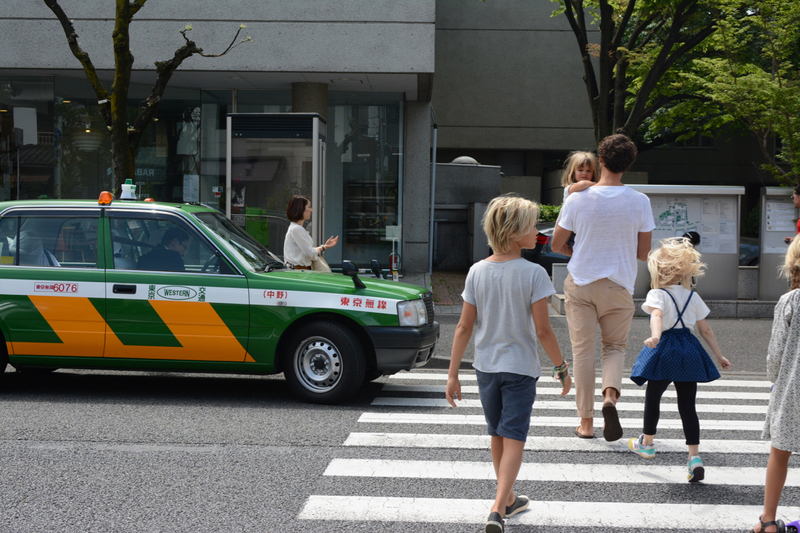 Have you been to Tokyo? Are you familiar with the city? If so, please share your tips and favourite spots below – it would be great to add to the list above. hahaha I see that you went to more than one pizza joint! Would of love to see some sushi and local recommendations but you probably didn’t get a chance. And no climbing Mt. Fuji and/or Disneyland! maybe wise choice. Wondering next stop in Asia would be. Thanks for your comment. How exciting that you’re travelling overseas in a few months! My advice is always to pack light! I pride myself on being a light packer and STILL I always pack too much. In Japan, for example, we had a washing machine (no dryer – so clothes had to hang dry) in both our Tokyo and Kyoto apartments, so it was easy to wash clothing and re-wear once they dried. In places where we didn’t have access to a washing machine, we just hand-washed in the sink like you said. Laundry hasn’t been that big of a problem this year for us – and never have I wished we had packed more clothes! We have written a post about removing stubborn stains on our blog previously – you can find that post here: http://babyccinokids.com/blog/2015/09/29/tuesday-tips-stain-removal/. I loved the comments from readers with their favourite stain removal products! 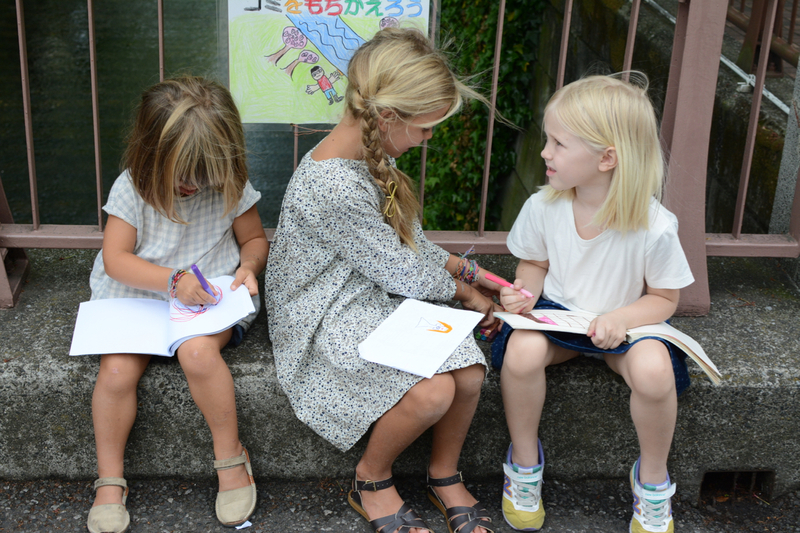 Loved reading this.. we are considering a trip to Japan next summer with our (soon to be !) two…will be digging this out for sure!